Hi. I’m Jess. By trade, I’m a freelance writer and recipe developer. I cook a lot, eat a lot, and type a lot. Not a bad life. My memoir about eating and traveling with my now-8-year-old, who has cerebral palsy, is called A Year Right Here: Adventures with Food and Family in the Great Nearby. (The New York Times loved it!) Most recently, I wrote My Rice Bowl: Korean Cooking Outside the Lines, along with Seattle chef Rachel Yang–look for it in September 2017. 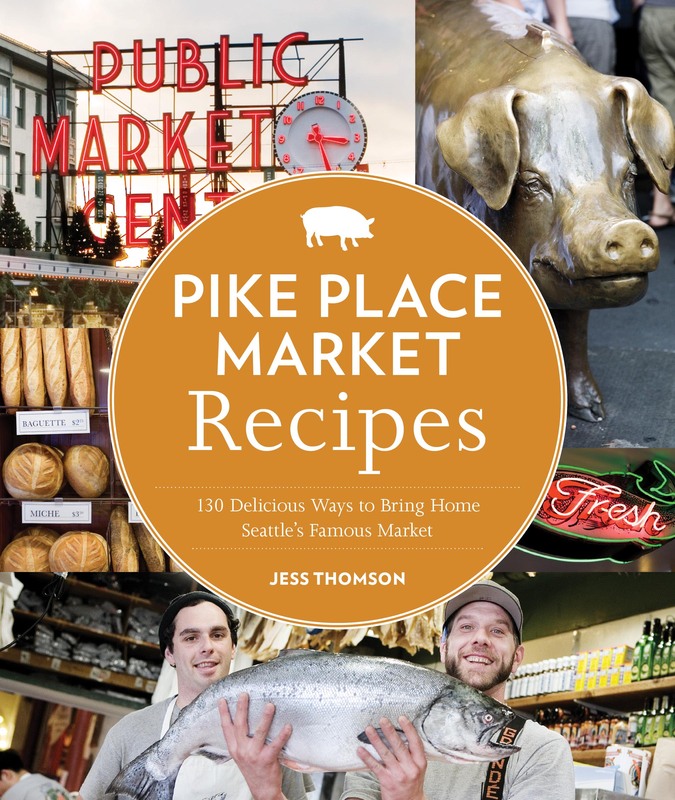 I co-wrote A Boat, a Whale and a Walrus: Menus and Stories with Seattle chef Renee Erickson, and I’m also the author of Dishing Up Washington (Storey Publishing), Pike Place Market Recipes (Sasquatch Books), and Top Pot Hand-Forged Doughnuts: Secrets and Recipes for the Home Baker (Chronicle Books). The way I see it, my job is to make people happy and full, both physically and mentally. I hope to educate my readers on how cooking, eating, and living a healthy lifestyle can coincide. (Don’t laugh. I don’t always write about doughnuts.) And while I want my recipes to work, I want more than anything for my readers to look to cook from the heart. I write for many local, regional, and national publications. Find links to clips on my writing page. When I started hogwash, I wanted a name that was emblematic of what I’d been writing about, food and life, and also of Seattle. Pike Place Market served as an obvious starting point. But I didn’t want to get too serious. It is all hogwash, these here words. 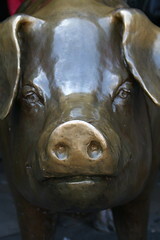 And Rachel, the big bronze pig that stands at the market’s entrance, seemed to fit my purpose. She was there when it all started. You probably landed here via a recipe from the big project: I wrote a recipe a day for all of 2007. 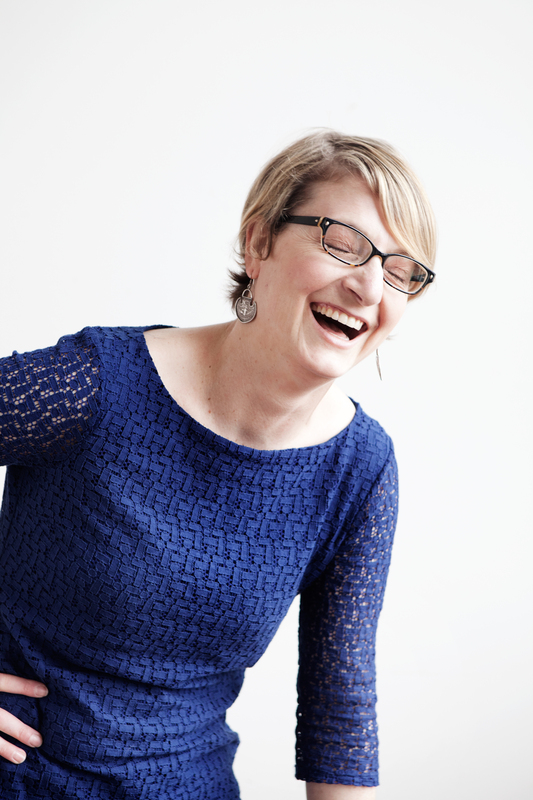 I started it because I needed a goal; I was new to town and unsure I’d ever push my way into Seattle’s food-writing world. I needed a good assignment. I was least certain about finding an outlet for recipe writing (I’d done plenty of it on Cape Cod, testing and developing recipes for cookbooks and supermarket magazines and such, and I loved it), and was curious to find the answer to the question everyone asks me: What do you eat at home? I’d often said I never cooked the same thing twice in a year’s time. It was interesting. Not sure I’d do it again, but by golly, I’m glad I did it. And I’m even happier that it’s over. Besides all that, I’m a person, too: Mom to a spunky 8-year-old. Wife. Skier. I hate cleaning out the recycling bin. I love fall. I hate the feeling of sand stuck between my toes, but I’m always ready for an adventure. Don’t be shy. Tell me what you’d like to see cooked up around here. Lindsay just showed me your site. What an awesome site!! It sounds like you are doing really well. Tell Jim I said hi. I hope you win the best new food blog award. I am friend of Jim & Nancy’s from the Portland Yacht Club. Great blog & lots of fun to scroll through. Alot of work …..I know. We did a cookbook through the club called “Casco Bay Cuisine” I will continue to check it frequently. Jess, my daughter sent me a link to your blog and I was impressed with the quality of your recipes — but especially the quality of your writing. I can see exactly why your work is in demand in national and regional magazines. I was especially taken with your thoughtful and original essay on skiing and the smell of rosemary on the dashboard on the ride home (“Back on That Horse”). Beautiful. Thanks, all! Love that you’re reading, hope hogwash helps you find your way to the kitchen. Hi and greetings from the Olympic Peninsula! I just happened upon your site while googling grass-fed beef (even so, I’m still not sure how I got here exactly). Love your writing and the recipes. The photographs are gorgeous. Quite inspiring for me to stumble into the kitchen and try something besides chopped romaine with broccoli and snap peas. I am Peter Schultz’ girlfriend and he showed me your website last night. It is fantastic! I am not a chef, but love to cook and constantly experiment in the kitchen. I have browsed some of your recipes and they look amazing! I think I might even try the braised rosemary chicken one tonight for dinner. As I was searching the web for an old favorite food from college, I came across your recipe for Stir-Fried Kabocha with Ginger and Scallions. You mentioned your college’s weekend crispy cubes and I knew at once you were a Midd alum. Anyway, I graduated from Middlebury in 2004 and wanted to let you know that I enjoy the site and even have it bookmarked. Best of luck on the west coast! Cheer, boys, cheer! Thanks for reading, Adam. If you’re still looking for Panther-worthy crispy cubes, you’ll find a dead ringer (I’ll admit I wasn’t looking, but there they were) at the top of the gondola on Whistler mountain, at the breakfast they do for people who shell out an extra $17 for first tracks. I came across your site via a search and since I have shared it with friends and family. Great read and food. I will have to give some recipes a try. Keep up the great food ideas! This is great — I was googling for a lamb shank recipe a woman in the supermarket told me f. scott fitzgerald liked and came upon hogwash. your writing is GREAT and I can’t wait to try some of your recipes. I’m gonna hit the kitchen now to try making the three berry crisp! Thanks, Cheryl! How’d the dinner come out? I work in the hospitality industry and you have written a couple of pieces for one of the hotels I work with on Whidbey Island. I was interested to find out more so I searched out your blog and I absolutely love it! I will revisit often. I like your template of your website. Did you have to buy it or make it yourself? Do you mind telling me where you got it? Hey Rodney – I made the top banner myself with photoshop, and use wordpress’ “pressrow” theme for the rest. Everyone is asking about the bourbon sweet potato, Cheryl is busy sending it out to her friends. We are thinking about you and family. I’m a huge fan — I love getting your posts by email and often forward them to friends and family. Thanks for a great blog! A friend asked me tonight if she can replace wheat flour with spelt flour, 1:1. I didn’t know the answer, but knew who might, as I often see you using non-white flour when baking. What is your suggestion when baking for a gluten-intolerant friend? In baked goods, you can usually replace up to half the wheat flour with spelt flour without drastically different results. BUT the spelt grain is the mother of wheat, and is not gluten free. If you’d like great gluten-free baking recipes, go to glutenfreegirl.com. Welcome to the web, Grandma June! I love your blog and the recipes, that show how you go through life as a person for whom food is front and center. The carrots from my garden look like yours….they are also kind of small this year: but I gave scarlet red a try. Things didn’t grow to size this year, but they still taste great! Your buddy Josh recommended your cooking blog. Let’s just say you had me with your cookbook flow chart – brilliant. Now for a request: it’s a family tradition to make Stollen around the holidays. But, we haven’t a German twig in our family tree and our family recipe leaves a lot to be desired. If I am going to hold my two small boys hostage while our loaves rise, I think I need to up the ante on our worn-out recipe. I would love your take on Stollen. Happy holidays! Stollen! Jill, I love stollen. But honestly, I haven’t made it for AGES. But sounds like a fun project! I’ll look into it… any favorite fillings? I am partial to cherries. But really anything. I have to admit I don’t love candied fruit fillings, but those may be inevitable to make a true stollen, yes? Danke Shein! Obviously, no need to psot this. I love the pics of Graham. I cannot believe he is 2 – who do you think he looks like. Love reading the recipes – you know I ill not be trying to cook them. I am a Seattle-resident by birth, but a New Jersey resident in current habits. Last night I was perusing the web for food related blogs of things that I could ogle while limited to an understocked and overly-dirty collegiate kitchen (that appears to not have been renovated since the school’s founding in 1746). At any rate, I stumbled across your blog and underwent a series of heart palpitations that were rather remarkable for one the age of 20, with good cholesterol. I have attributed this mild organ trauma to the following causes: 1). The recipes are beautiful and healthful, 2). The photography is colorful and inspiring (because, let’s face it, everyone wants to cook something a lot more if they can see a picture of the finished product), 3). SEATTLE! Lonely as I am, in the Dirty Jerz, devoid of many signs of Seattle, your blog is a little oasis of that rarely-sunny but always beautiful part of the world! I cannot express how happy I am that I have found it and quickly forwarded it along to another friend – also devoid of Seattle, currently stationed in Scotland. I can’t wait to try the recipes and am excited to look into your book and try my hand at doughnuts soon! Ever since I saw ‘Sabrina’ when I was a little girl, and read ‘Tender at the Bone’ when I was still a little girl, but a little less little, I have wanted to try my hand at a soufflé. I am not sure if you take recipe requests, but I would love to try it out when I get back from school in December (in the off chance you do take requests….). Take care! And thank you again! Greetings from New York’s mid-Hudson River valley, a small, ancient apple farm where I grow mutant apples, peaches like golf balls, and where I grow old and poor, but happy. I saw the link to you on Greenbriar’s site, the foodwriters’ symposium 2011. I have been writing and (happily) occasionally publishing for a few years (~40) and recently began writing about food. Very recently I began combining my day job, hospice & palliative care nursing, with my night job, writing. I think it’s a good subject, believe it or not, and that’s why I am considering next year’s symposium at Greenbriar. If you would give me the skinny (so to speak) on the symposium, I’d be MOST appreciative. By the way, your blog is really nicely done, with good recipes. I am, unfortunately, the world’s dullest, most inept and least imaginative cook. Just ask my kids, haha! Hello. Love the blog. Can’t wait to check out the books. Do you have a recipe for good Dog Treats? I am sure that I can make my own more healthily and inexpensively. Not sure where to start. Any advice or recipe Ideas would be appreciated. Cheers! Thank you. I shall try it post haste. I am crushing on your writing and am so excited to hear back from you. I want to be your groupie. Did I read that you were fro Boise? I went to school there, and worked at Le Poulet Rouge. That is where I got the cooking bug and ran away to cooking school in Portland. Thanks again for the recipe, for your words, and for indulging my crush on your blog. Cheers. Thanks, Jessica! It’s not online yet, but I believe Sunset usually posts them when the following issue comes out… so check online at sunset.com in October. In the meantime, email me at jessthomson AT me DOT com and I’ll try to get a copy from the magazine to pass on to you. Glad to stumble upon your blog via a friend and fellow lover of food. Sending you sunshine from the Methow Valley, WA. I have an event NW WOMEN STARS OF FOOD & WINE ….I would like to email you information on the event….Maybe some sell your book My Rice Bowl? Hi Jess this is Melanie Krause. We are planning a wine club member dinner in Seattle in August. We have a penthouse rented for the event but the caterer is being unresponsive. Can you recommend any caterers in Seattle? I would live a call if you have a moment.